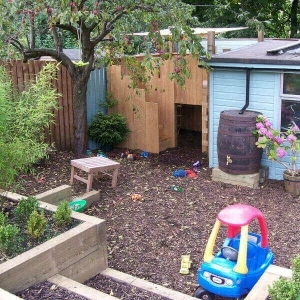 Two small children had the bottom of this garden specially designed for them. 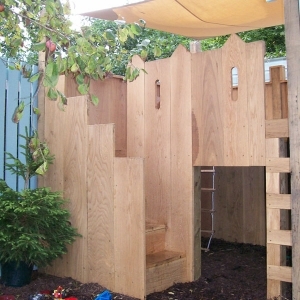 A bespoke wooden playhouse forms the focus and bark chippings and low wooden retaining walls mean the space is very child-friendly and is ideal to contain their toys. 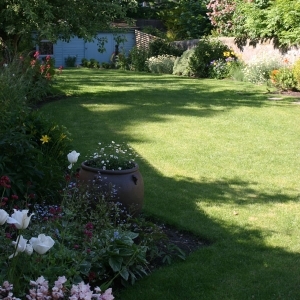 This family garden slopes down from the house and is long and thin, as is typical of many town houses. 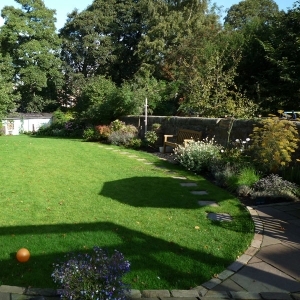 Shaping the beds with long arcs gives some definition to the long lawn and the stepping stone path leads the eye around the shapes. 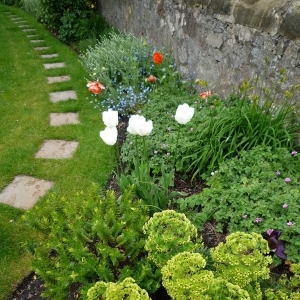 Planting patterns are repeated along the garden to give it continuity and balance. 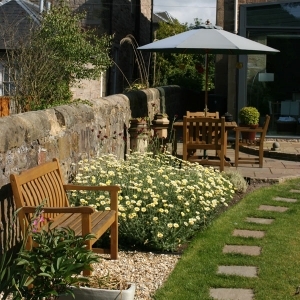 A seating area closest to the house allows a full view down the garden. 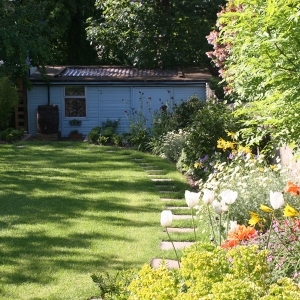 Making the most of the garden’s shape was a challenge, but we are proud of the end result. 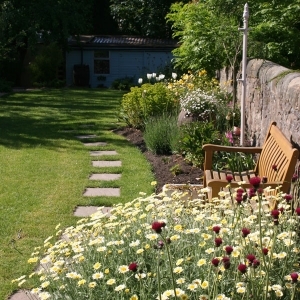 All in all, this is a great example of how landscape gardening in Scotland is for town and city dwellers as well as for those who live in rural locations.